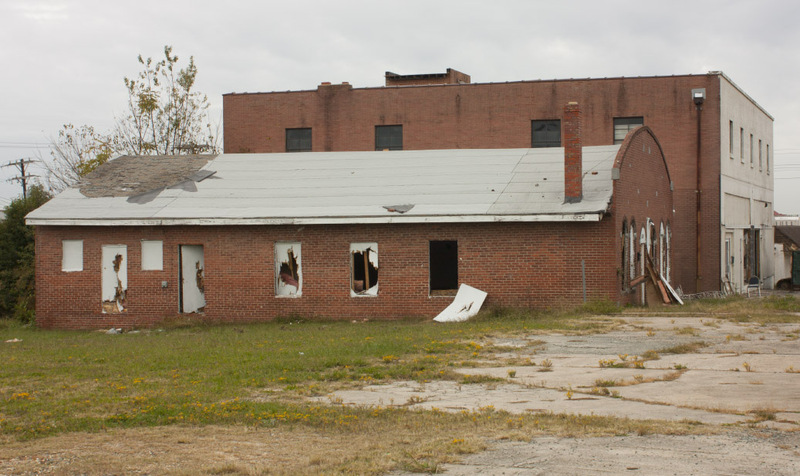 The Zion Tabernacle Church "attracted police and spectators" to the Pentacostal congregation's snake handling during services; the building was torn down in 2008. Love this. One of my professors uses a newspaper photo of this group in one of his sociology of religion lectures. The photo I remember showed the same folks but is slightly different from the third image; I think it may have been taken on the same occasion. It showed them handling the snakes indoors. Bunn Terrace is named for Colonel Bunn. My dad ran in the same circles with his son Jenkie for many years, so I had heard the stories of the snake preacher. Col. Bunn also operated dump trucks and hauled dirt for folks in Durham. My parents had over 100 loads dumped by him in their back yard. I often said they bought a house and then had Col. Bunn bring them a lot for it. That's right, Rik.......I wanna say Jenkie drove for awhile, before he found other, more entertaining ventures, lol. My dad will get a kick out of this, I'll show it to him. Col. Bunn had a brother that operated a repair garage just off East Main St.
Rik - do you remember where approximately that was? If you scroll down that page to the 1969 picture, you can see a gray building on the side street with an IGA sign. I believe that was Bunn's garage. My uncle ran Colonial Ice Co., which was on the now-vacant lot next to the Zion Tabernacle. I don't remember the police raid, but I had heard my Father say that our whole family watched it from the ice plant. During summer revivals at the Zion Tabernacle, people who passed out from religious hysteria were carried out and placed side by side on the sidewalk. There were always three or four people lying on the sidewalk. They would eventually jump up and run back in. Sometimes the same ones would be carried out several times.There was an old lady who always sat with them, fanning herself with a cardboard funeral parlor fan, to keep people from stealing their wallets. In the 1950s, the building in the photo beyond the Zion Tabernacle housed a big two story toy store called Toyland. This was a magical place. The Toyland owners opened an amusement park called Toyland Park off Roxboro Rd. near the Eno River bridge. I think that it was on Ray Rd. The only ride at Toyland Park that I remember was a small train like the one at the Life and Science Museum. Toyland Park failed, and the loss forced Toyland's closure. Fascinating! If you have any pictures of the Colonial Ice Company, I'd love to get them added to the site. Was Toyland located where the Putt-Putt course (now abandoned and completely overgrown) was later located? North of the Eno bridge, west side of Roxboro? is now occupied by Layman's Chapel Baptist Church. i attended zion tabernacle with my mother and grandmother(adell green) when i was a young girl.there was no snake handling then.that was the first i witness the power of GOD falling on people in that church.it was so real and i know now what it is like.it the best feeling in the world.you feel so close to GOD and i want to thank you LORD for bringing your spirit down on me.i had many fond memories of zion tabernacle and the people there. Zion Tabernacle, a pentacostal congregation, was located in this small church building during the 1940s and 1950s, acheiving some measure of notoriety from publicity about their handling of snakes. 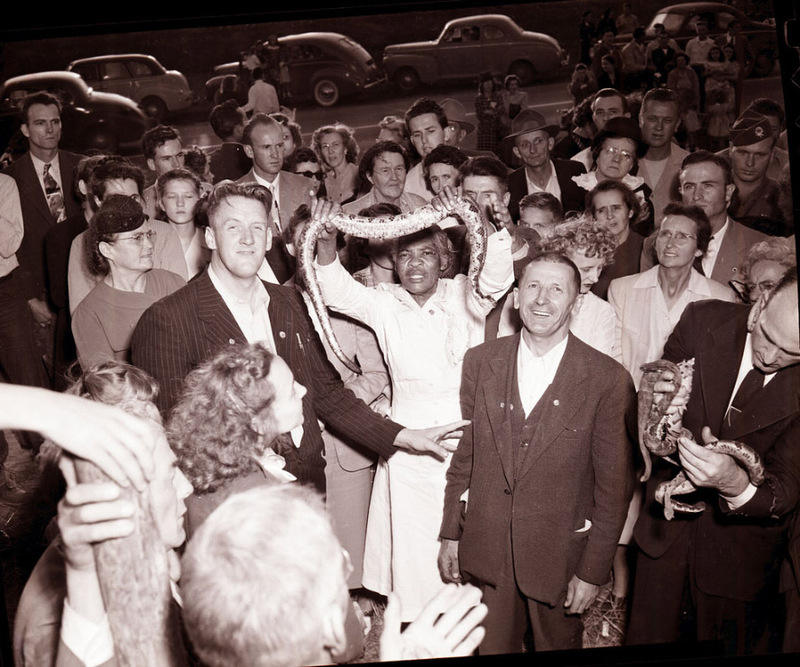 On 5.11.12, the News and Observer reprinted a portion of their story from 01.18.49 about the appeal filed by preacher Colonel Hartman Bunn (Colonel was his given name,) challenging the Durham ordinance rendering snake handling illegal in the city. A ban on snake handling, Bunn held, amounts to a violation of the Constitutional guarantee of religious freedom. He claimed also that snake handling has been practiced for 40 years in North Carolina without harm to anyone yet. 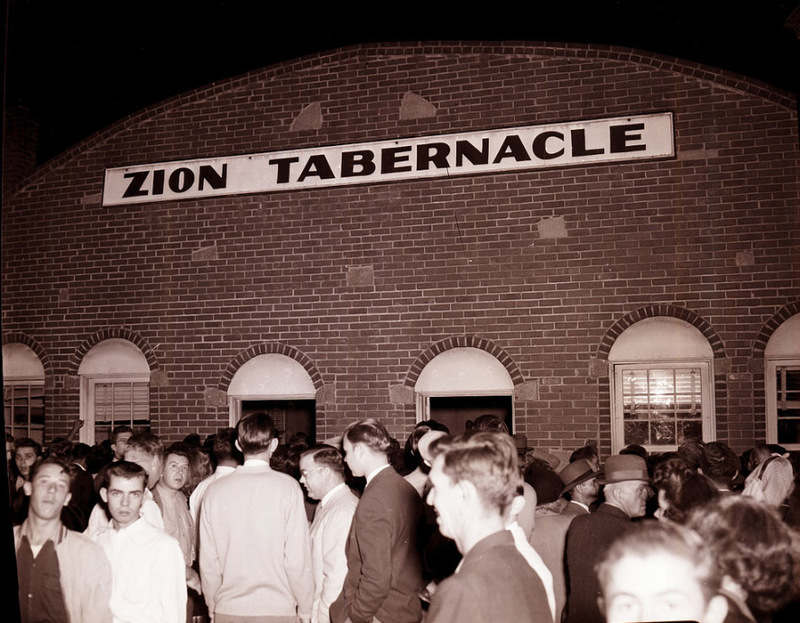 “On the evenings of 1 and 8 November, 1947,” the court related in its opinion, “several policemen of the City of Durham visited the Zion Tabernacle Church, situated within the corporate limits, and on each occasion found there a large gathering of men, women and children, engaged in religious services. Chief Justice (Walter P.) Stacy wrote that the case rested on “a very simple question: which is superior, the public safety or the defendants’ religious practice?” The court found despite Bunn’s apt argument, that the case was simply a question of snakes or people. The people won. 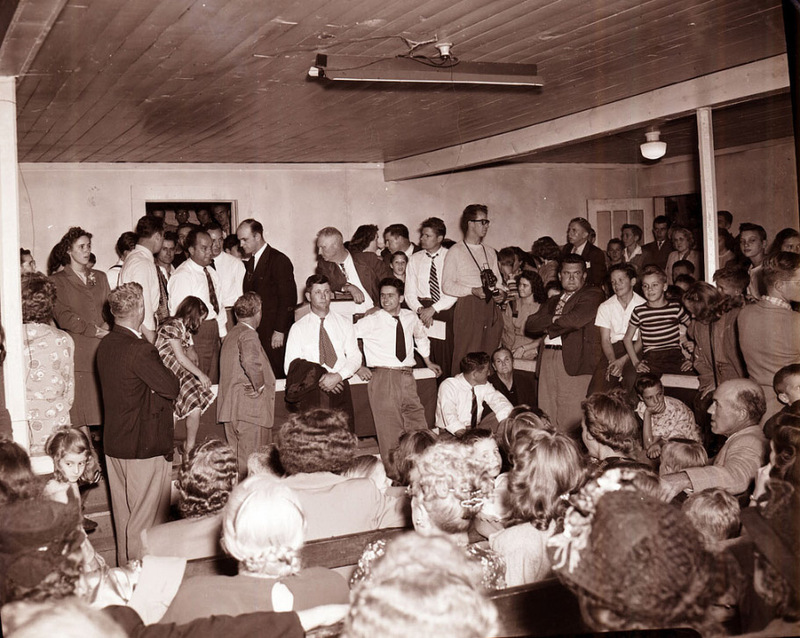 In the summer of 1947 the cult of snake-handling became part of the services held at the Zion Tabernacle. [...] Under the tutelage of their pastor, Colonel Hartman Bunn, the congregation began to practice the apocryphal biblical prophecy "They shall take up serpents." When the police got wind of it, the city council hastily wrote an ordinance against snake-handling, and the police raided a service and confiscated two poisonous snakes. 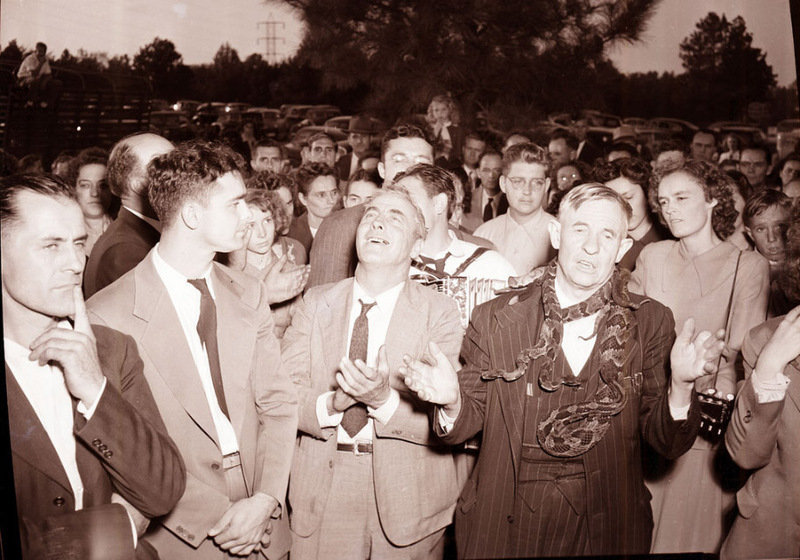 Life Magazine, too, became interested in Durham's snake-handling sect, and after learning of a snake-handling convention to be held in Zion Tabernacle in the fall of 1948, it obtained permission to take pictures. It later published some sensational photographs: copperheads and rattlers freely wrapped around a visiting preacher's head or held by members of the congregation while people hummed, chattered, spoke in tongues, danced, and generally hypnotized themselves into a religious frenzy in which faith cast out not only fear but reason. The congregation's interracial makeup, the character of Bunn—mild-mannered, soft-spoken, unexcitable-and the unfamiliar behavior of the participants, workers in the cotton mills, the tobacco factories, and Wright Machinery Company, utterly confounded the authorities. Snakes were again confiscated and arrests made. Bunn appealed the charges and challenged Durham's ordinance on the grounds of its interference with religious liberty, but the State Supreme Court upheld its legality. Those who continued to practice snake-handling had to do it elsewhere. When Bunn returned to Durham and Zion Tabernacle in 1955 and broadcast once a week over WTlK, snakes were no longer in evidence. The building was demolished in 2008 as part of the multi-building destruction of the 500 block of E. Main and Peabody Sts. to create a massive surface parking lot for the Human Services Building. It was behind DFD Sta 3 on E.
My uncle ran Colonial Ice Co.
Toyland was located on Monk Road. (off Roxboro Rd.